Endpoint security is defined as the process of securing various endpoints on a data network, often involving end-user devices like mobile phones, iPads, desktop PCs, and laptops. Additionally, hardware can also be considered an endpoint. An example of this would be servers in the data center. An exact definition of an endpoint largely depends on who you ask, as every security leader has a different idea. 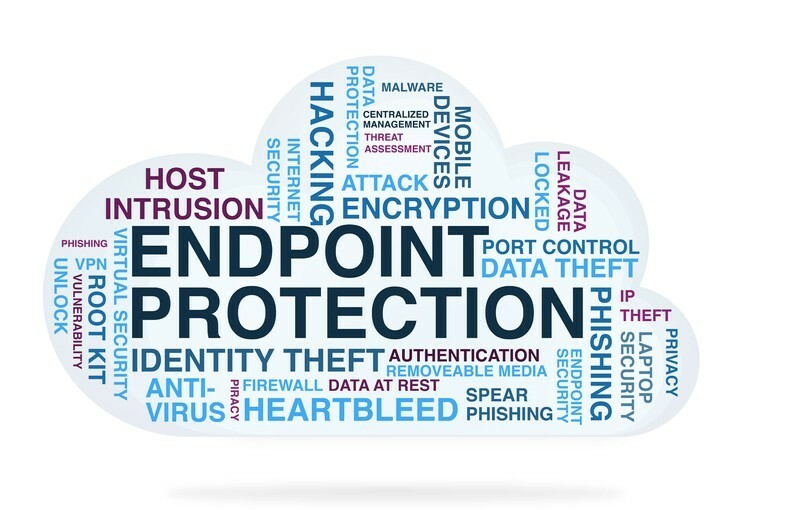 Basically, though, endpoint security tackles those risks that are presented by various devices connecting to a main network. Any device can serve as an entry point for security threats. The goal of endpoint security is to secure every one of these endpoints to prevent unauthorized access attempts to the network. It also works to block other risky activities that may occur along those entry points. An increasing number of companies are adopting policies such as BYOD (Bring Your Own Device) and hiring remote or mobile employees. In this way, the security perimeter around the main network is basically dissolved. Effective endpoint security has become a substantial necessity in the face of increasing mobile security threats. Many employees rely on external devices to access company networks and conduct their business, so investing solely on central security is no longer an adequate solution. Endpoint security can be used as a supplement to provide additional protections at every entry point against attacks. It can even help to retrieve sensitive data in the event of a cyber attack. Companies can preserve their control over entry points by requiring endpoint devices to meet certain security standards before they are given access to the main network. Endpoint tools also offer monitoring capabilities and block malicious or risky behaviors by users. It is important to note that endpoint security is not conducted only from separate devices. Solutions typically offer a two-pronged approach. Security software is installed at the management console or central server in addition to individual devices. Even so, other simple forms of technological protection can be considered endpoint security. Personal firewalls and anti-virus software, for example, may meet some definitions. Granted, modern endpoint security usually refers to more advanced technologies. Endpoint security is available to both commercial and personal networks, although there are some variations in configuration. There is no central administration or management in a personal network, and updates are received from the developer’s servers via the Internet. Each individual computer has its own security application with personal logs and alerts. Commercial endpoint security always has a centralized administration. A single interface keeps track of security configurations for individual endpoints and sends those logs and alerts to the central server to be analyzed and evaluated. Applications are downloaded once, and updates are prompted by the main network. An effective endpoint security setup consists of two key elements: application control and endpoint encryption. These are essential to preventing both intentional and unintentional data leaks that occur by transferring or copying data to removable devices such as USB drives and CDs. Application control stops unauthorized applications from running on endpoints. In doing so, it prevents employees from downloading potentially malicious programs onto endpoint devices – which could ultimately spark vulnerabilities on the main network and open the door to unauthorized access. Endpoint encryption encrypts company data stored on endpoints. It also does this on individual files, folders, and removable storage devices. Contact us for more information on endpoint security or if your company is in need of IT support.